With a warm welcome to Tuesday, we’re now on day 15 of our 20 day giveaway celebration of AnandTech’s 20th anniversary. Today’s prizes come courtesy of ARM. While not a product manufacturer in and of themselves – ARM’s business is all about IP and architecture licensing – the 800lb gorilla of the mobile world has their hands in a multitude of products thanks to the ubiquity and performance of the ARM CPU architecture and their own Cortex-A CPU designs. 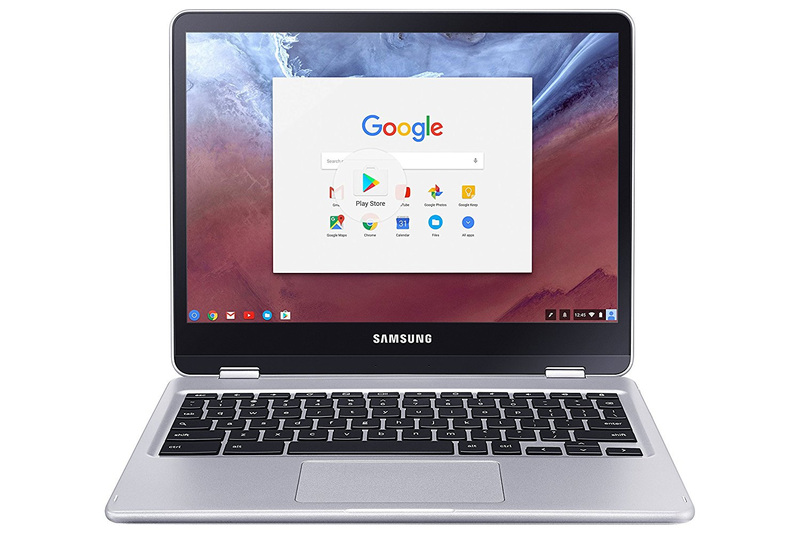 So for our giveaway, the company has sent over a pair of Samsung’s Chromebook Pluses, which are among the most popular of the ARM-powered Chromebooks on the market right now. 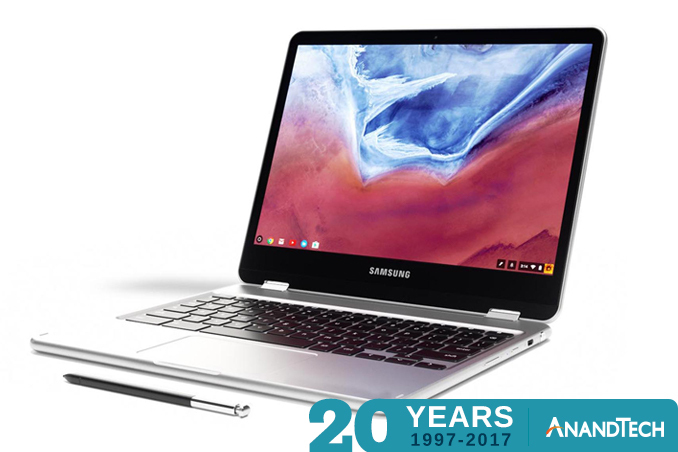 The Samsung Chromebook Plus is Samsung’s high-end ARM Chromebook offering. The 12.3” Chromebook features a 3:2 aspect ratio IPS touchscreen display, which offers a 2400x1600 pixel resolution. The laptop is 2.2lbs and 13.9mm thick, making it thin and light. This in turn is critical to its 2-in-1 design, allowing it to also be used as a tablet thanks to its 360 degree hinge and included stylus. 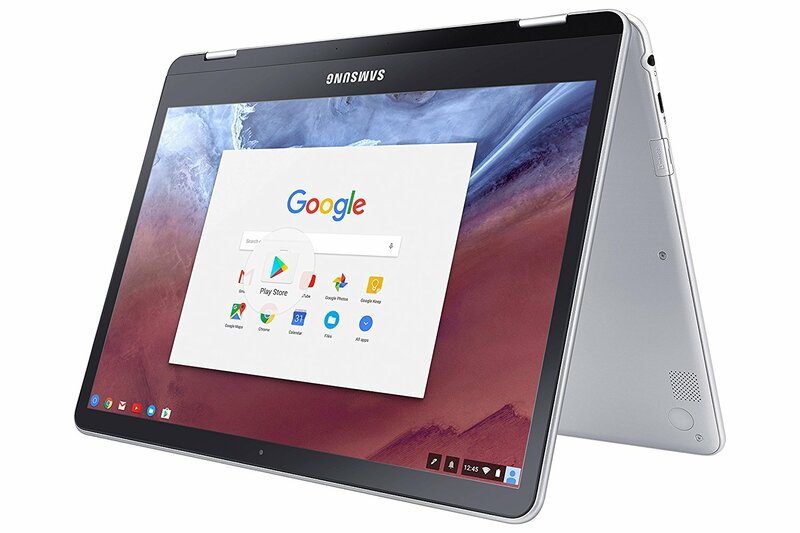 Samsung’s Chromebook Plus is also one of what’s still only a handful of Chromebooks with shipping Android app support, allowing the aforementioned tablet functionality to mesh well with tablet-optimized Android applications. Under the hood, the Chromebook Plus is built around the ARM-powered OP1 SoC, which is a Rockchip-built and Google-approved SoC that packs a pair of ARM Cortex-A72 CPU cores for performance with a quartet of ARM Cortex-A53 cores for efficiency. On the GPU side, the SoC includes another ARM design, their Mali-T860MP4 GPU. Rounding out the package is 4GB of RAM, 32GB of eMMC storage, and 2x2 802.11ac WiFi. Meanwhile the 39Whr battery gives the Chromebook Plus a 9 hour battery life, while charging it is accomplished by using either of the device’s USB Type-C ports. Finally, as with our other giveaways, today’s giveaway is only open for 48 hours, so be sure to enter soon. However please note that for legal reasons, we’re only able to open these giveaways to residents of the United States. Good luck to everyone! And be sure to check in this afternoon for our next giveaway. I hope that's not why we're here. That would be deeply depressing.